Iraqi and visiting doctors, and a number of news reports, have reported that birth defects and cancers in Iraqi children have increased five- to 10-fold since the 1991 Gulf War and continue to increase sharply, to over 30-fold in some areas in southern Iraq. Currently, more than 50 percent of Iraqi cancer patients are children under the age of 5, up from 13 percent. Children are especially vulnerable because they tend to play in areas that are heavily polluted by depleted uranium. The Pentagon has been using radiooactive weapons for at least a decade and a half with full complicity of at least three White House administrations and Republican and Democratic congressional legislators. Conservatively, at least 300 tons and 1,700 tons of depleted uranium were used in the Gulf War and the current Iraq War, resectively. 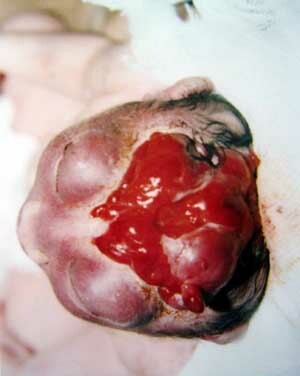 This is about 70 grams of depleted uranium per Iraqi citizen, and if inhaled or ingested, it is enough to kill them all. Is this not radioactive genocide, especially when our troops used and continue to use most of the depleted uranium munitions in densely populated areas such as Baghdad and Fallujah? 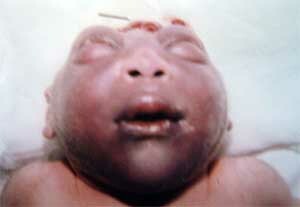 Depleted uranium has a half-life of billions of years. Consequently, Iraq will be a wasteland forever and essentially uninhabitable for anyone. After the 1991 Gulf War, about 1 in 4, or 150,000, U.S. veterans came down with what is referred to as "Gulf War Syndrome." Most of the ailments characteristic of Gulf War Syndrome are consistent with radiation or heavy-metal poisoning. Veterans' children are now also born with higher proportions of birth defects and other genetic disorders, according to sporadic accuonts. 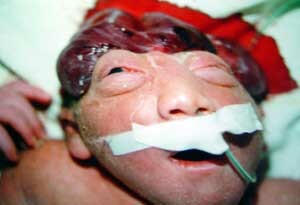 The Pentagon continues to deny the harmful effects of depleted uranium or its role in Gulf War Syndrome. As described by a report of the World Health Organization Depleted Uranium Mission to Kosovo, uranium can be found in rocks and soil and contributes to natural background levels of radioactivity. Depleted uranium is a waste product of uranium enrichment for nuclear reactors and is about 60 percent as radioactive as naturally occurring uranium. 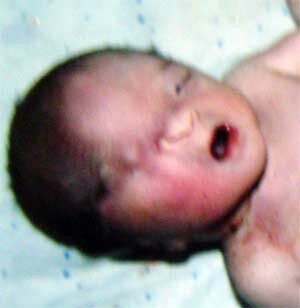 Depleted uranium is considered weakly radioactive. Nevertheless, depleted uranium is considered nuclear waste and has to be disposed of accordingly, which is expensive and a potential environmental hazard. The nuclear industry must be very pleased the U.S. military has found a way to get this stuff off their hands cheaply. 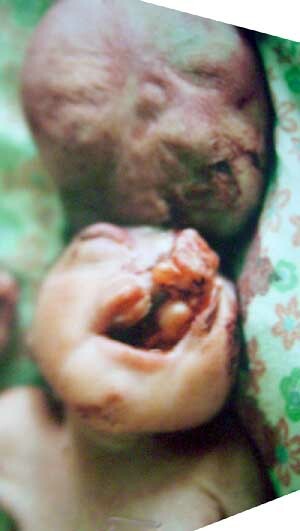 Depleted uranium is really a misnomer, because the potentially harmful effects are by no means depleted. 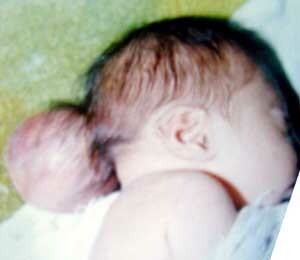 Research reports have found that when depleted uranium is ingested or inhaled, it can cause cancers and birth defects. 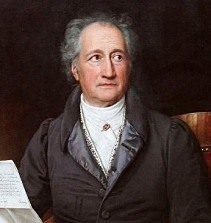 It has considerable heavy-metal toxicity. As stated in the WHO report, because of its high density, depleted uranium is used in armor-piercing ammunition and as reinforcement against conventional weapons. 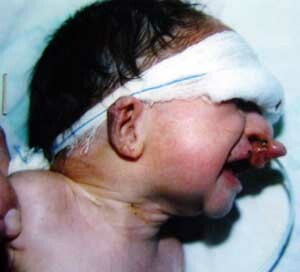 Upon impact, the depleted uranium fragments burn at intense heat, and 10 to 35 percent of it becomes aerosolized. This aerosolized uranium "dust" is the most harmful component because it can easily be ingested or inhaled. Wind and people walking through it also easily disperse the depleted uranium dust. This dust is a predominant byproduct of military use of depleted uranium, in contrast to, for example, exposures in uranium mines or nuclear reactors. Our troops in Iraq will be severely affected by this radioactive war, not only because a lot more depleted uranium has been used and continues to be used, but also because they have been there a lot longer than during the Gulf War. Hundreds of thousands of our troops will come down with Gulf War Syndrome as a result of depleted uranium poisoning, and thousands will die from it. 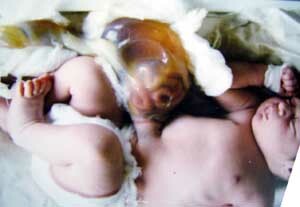 Thousands of their children will be born with genetic diseases, cancers and birth defects. The continued use of depleted uranium harms our own troops and innocent civilians exposed to our war machine, is un-American, and a crime against humanity. 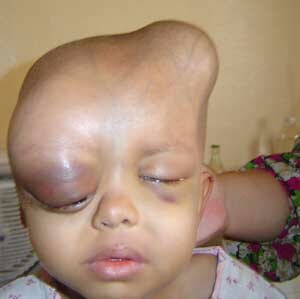 We need a worldwide ban on depleted uranium use. You have probably noticed Fairbanks Daily News-Miner staff writer's reports as an "embedded journalist" with the 172nd Stryker Brigade Combat Team in Mosul, Iraq. Her "feel-good" stories do not tell you the reality of what is happening in Iraq. Will she report on depleted uranium poisoning as a result of heavy U.S. bombing of Mosul? Sadly, she and those of the 172nd Stryker Brigade Combat Team, if they survive the war, will have a high chance of coming down with Gulf War Syndrome. How much support do you think they will then get from our government or their employers? Abel Bult-Ito is an associate professor of biology at the University of Alaska Fairbanks and is a member of the Fairbanks Coalition for Peace and Justice. :: The views expressed in this article are the sole responsibility of the author and do not necessarily reflect those of Uruknet .